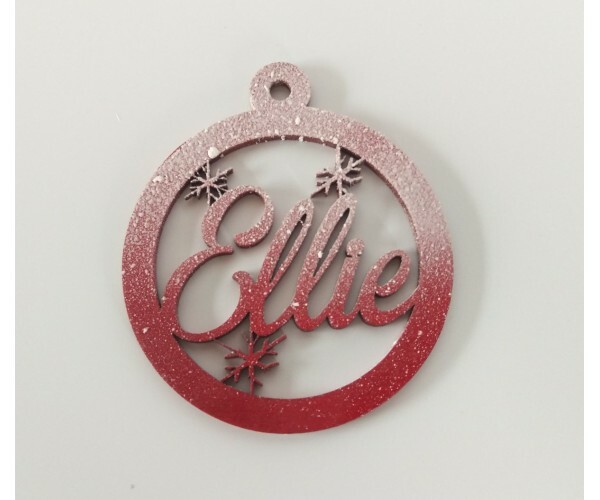 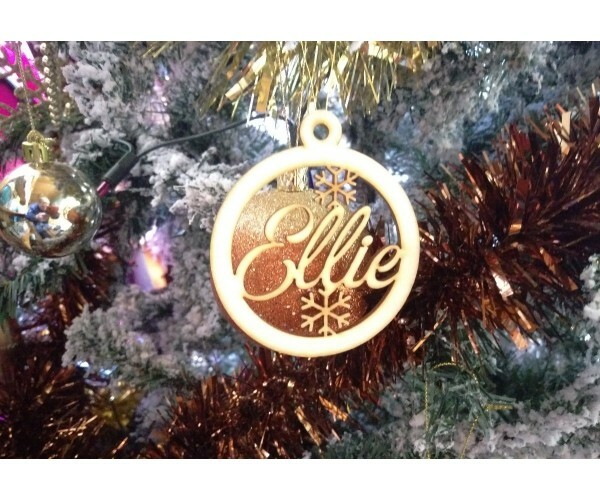 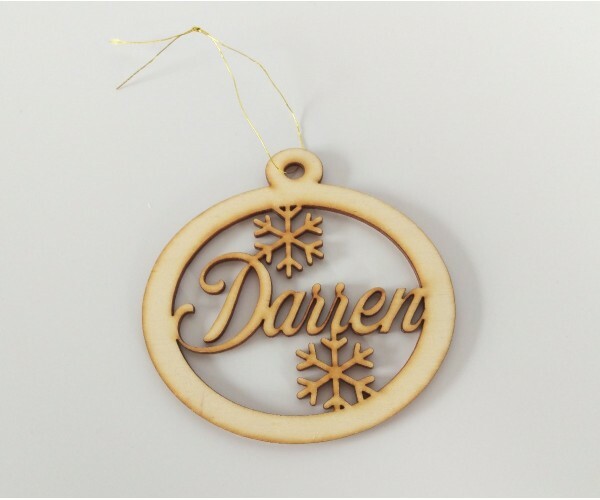 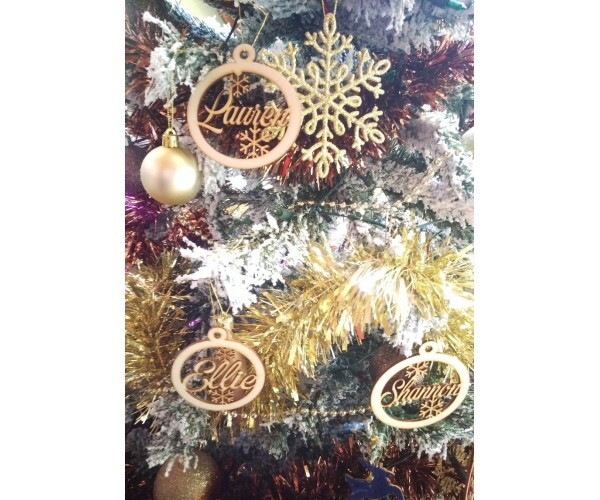 Nice personalised decoration for the tree or anywhere, any name can be done, short names tend to have a round bobble shape long names have a oval type shape. 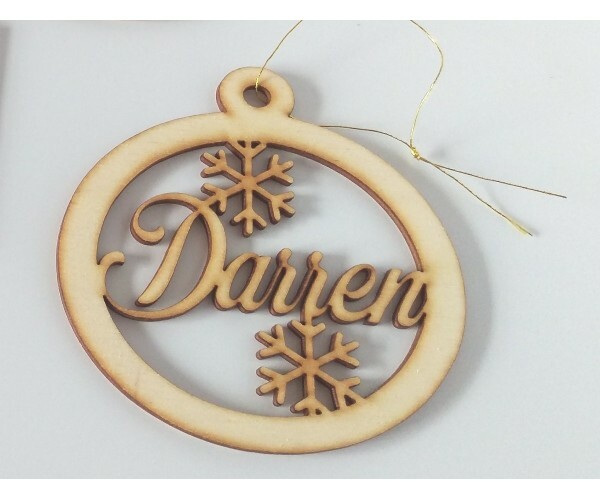 Made from plywood can be left as is or very easily painted and decorated with snow, glitter etc, great for the kids to decorate there own. 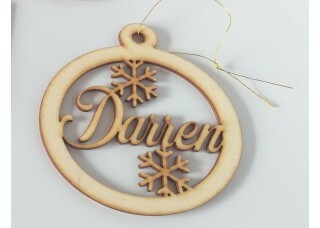 Variations of this can be done for other occasions please email with your requests.